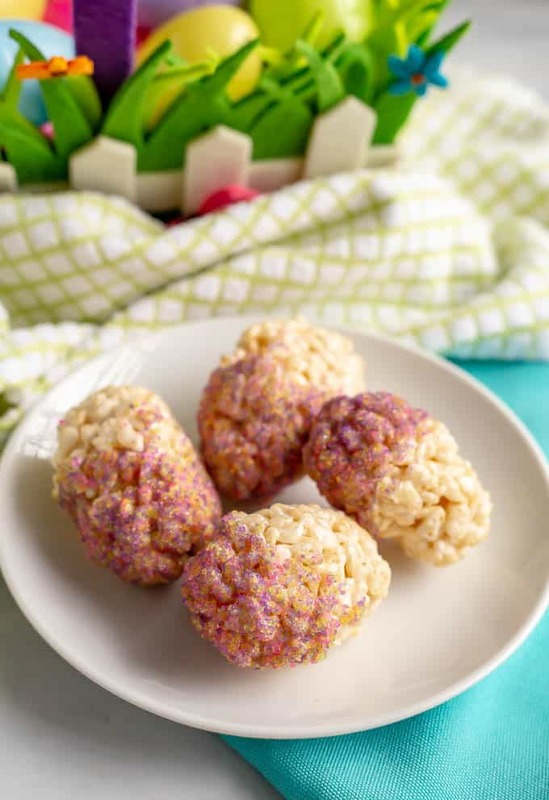 Easter egg Rice Krispie treats are a fun and tasty spring dessert to make with kids! Plus, check out all of the ideas and tips on ways to decorate them! The cherry trees are in bloom, the weather is warming up, the pollen is arriving and I’m just loving all of it. Well, except the pollen, but it’s worth it. We’re also getting prepped for spring break in a few weeks and I just planned out my spring cleaning checklist. And I’m so excited about this recipe! 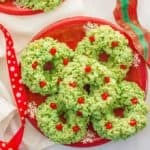 So, Rice Krispies Christmas wreaths are a holiday MUST in my family, ever since I was a kid. 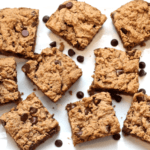 They are fun to make – especially with little helpers – and they are definitely fun to eat! 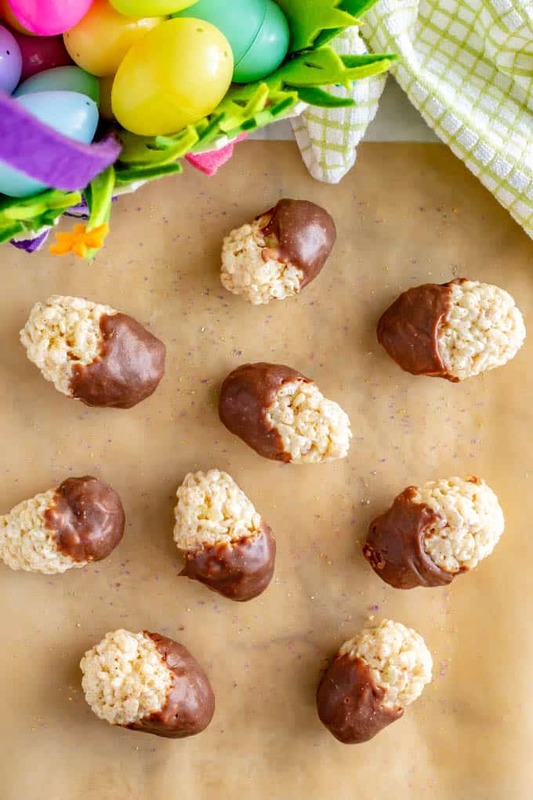 So today I’m doing an Easter holiday twist on that favorite and sharing Easter Rice Krispie treats. These are just as much fun to make as the wreaths, and maybe more so, because we’ve got lots of decorating options! Before I get to that though, I’ve got a few tips and tricks to share on making these. Just trying to be helpful. 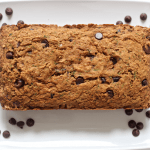 If you want to jump to the recipe, simply scroll right on through the rest of the text. The recipe card is near the bottom of the page, above the comments section. 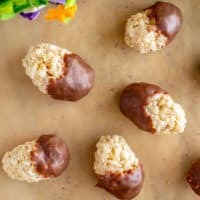 How do you make Easter Rice Krispie treats? You’ll make a full batch of Rice Krispies the regular way, in a pan on the stove. Then, instead of transferring the mixture to a pan to cool and then slice, you’ll grab spoonfuls of the mixture and shape it into an oval egg shape. I think this is best done by using your palms to cup the mixture and pack it into an egg shape. Be sure to spread some softened butter over your hands so that the Rice Krispies don’t stick to you. You’ll need to reapply every few eggs as you go. Place the eggs on a piece of wax paper to cool slightly before decorating. 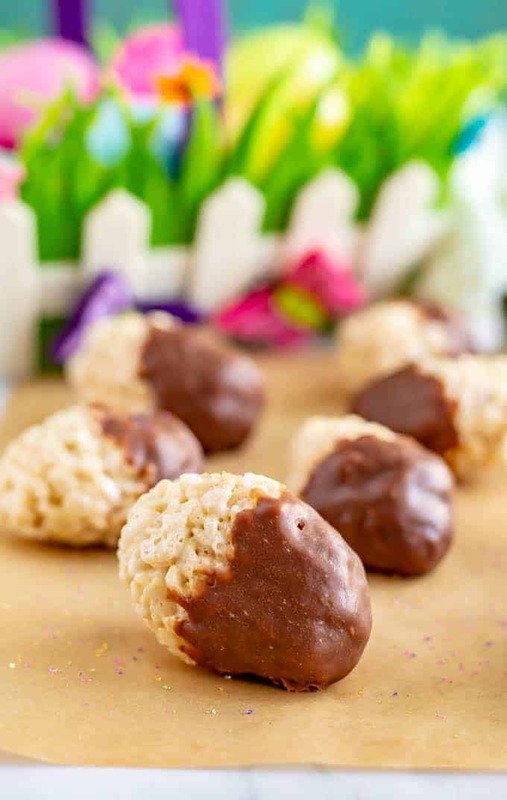 Can you use plastic Easter eggs to make Easter Rice Krispie treats? – You’ll want to make sure your Easter eggs are clean and dry. I washed mine in a big bowl of soapy water, then rinsed them off and dried them with a kitchen towel. – Scoop a large spoonful of the Rice Krispies mixture into the larger side of the plastic egg and smush it down well. Make a rounded top and put the other half of the egg on and smush it shut. – You’ll want to let the eggs sit for a couple of minutes to help the Rice Krispies set up. Then remove carefully, roll them in your hands if needed to reshape them, and you are ready to decorate. And honestly, using your hands/palms to shape the eggs works just as well, so that’s what I prefer. And now, for the fun part – decorating the eggs! We’ve got options here, my friends. Lots of options. Pick your favorite or mix and match several decorating options and have some serious fun with these! 1. You can color the marshmallow mixture to be a pastel shade of any food coloring you have on hand. 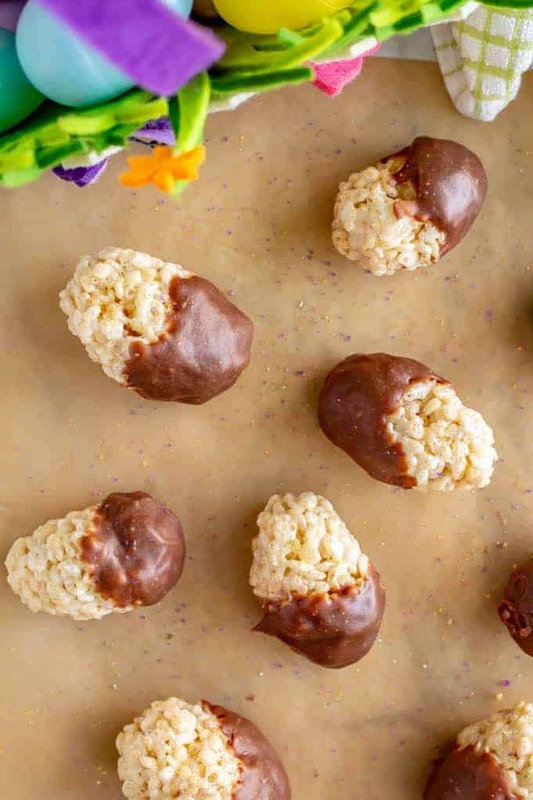 You’ll want to add the food coloring to the pan before you add the crispy rice cereal and make sure it’s well mixed into the melted marshmallows. You’ll need 5-10 drops of food coloring, depending on the shade you want. If you are feeling ambitious, you could try dividing the marshmallow mixture into different containers. Then you could make different colored ones. You’ll have to work quickly though to get the food coloring mixed in and then the cereal mixed in before the marshmallow mixture cools and hardens. 2. Mix sprinkles into the marshmallow mixture in your pan, at the same time you add the crispy rice cereal. You’ll probably want to do about 1/2 cup, but play with it and see what looks right to you. 5. I also think these eggs would look really pretty dipped in melted white chocolate. Very spring-like! And here’s a bonus 6th way to decorate these: Dip them in your melted chocolate (white or regular) AND then dip them in sprinkles. ✨ Hello, sugar high! I hope you give these a try for a fun edible Easter project! However you decorate them, everyone is sure to love them! 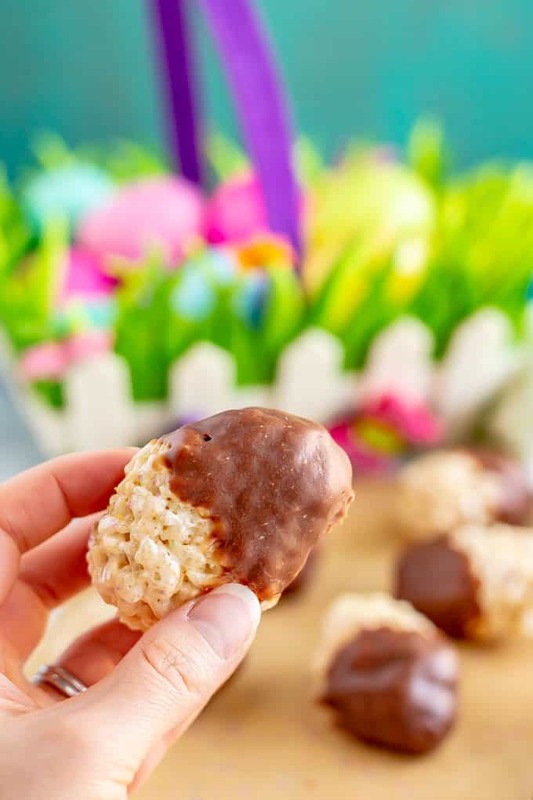 Easter egg Rice Krispie treats are a fun and tasty spring dessert to make with kids! Plus, check out all of my ideas and tips on ways to decorate them! Prepare your decorating station: Lay out a large piece of wax paper and prep some extra pats of softened butter to spread on your hands (for shaping the Rice Krispies into Easter egg shapes). Get your sprinkles ready to go too, if you’re using them. To make the Rice Krispies, melt the butter in a large sauce pan over medium low heat. Add the marshmallows and stir to coat in the butter. Cook over medium low until the marshmallows are completely melted, stirring occasionally. Turn off the heat and carefully stir in the Rice Krispies cereal until it’s all completely coated. Grease hands with some of the pats of butter and grab handfuls of the Rice Krispies mixture (be careful not to burn yourself if it’s hot). Use your palms to cup the balls and form an oval egg shape. Place the eggs on the wax paper to cool and set up and continue until you’ve used up all the Rice Krispies mixture. If you want to dip your eggs in sprinkles, you’ll need to do that just after you shape them, before they cool. Otherwise, let the eggs cool completely on the wax paper. Then make the chocolate sauce. 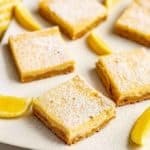 Melt the butter in the microwave (about 1 minute). 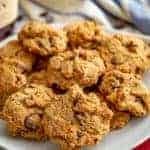 Stir in the powdered sugar, cocoa powder, milk and vanilla and stir very well to combine. Let the chocolate sauce sit for a minute or two to cool down and set up. Then dip each egg in the chocolate, submerging the egg about halfway and turning to coat it in the chocolate sauce. Place the eggs on a piece of wax paper to dry and set up. 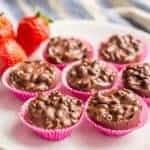 If you want to dip the chocolate coated part of the eggs in sprinkles, or add sprinkles to some of the eggs, you’ll need to do that before they cool and set up. Store finished eggs in a covered container at room temperature. The Rice Krispie eggs will keep at room temperature for up to 5 days. These are sticky! We coat our hands in softened butter — and keep reapplying as we make the eggs — to keep them from sticking to us. It really helps. Check out the post above for lots more decorating ideas and options.